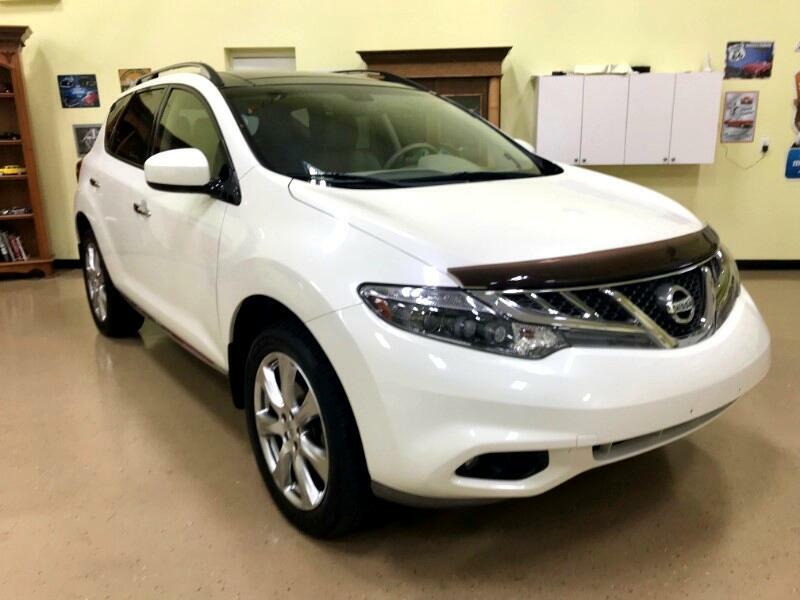 2014 Nissan Murano Platinum AWD in pearl white with ivory leather interior offers a blend of luxury and power that you will rave about! Powered by a 3.5 Liter V6 that offers 260hp while paired with a CVT to deliver plenty of get-up-and-go. Our All Wheel Drive gives you 28mpg and the exterior is enhanced with a panoramic sunroof,? polished alloy wheels,? roof rails,? and the v-motion grille that lets you stand out from the crowd.A haven of comfort and refinement,? the interior of our Platinum offers you with dual-zone automatic climate control,? a heated steering wheel,? and heated/cooled leather seats that are highly contoured for your comfort. Enjoy technology that is state of the art with voice-recognition,? navigation,? smartphone app integration,? Bluetooth phone and audio connectivity,? a prominent touchscreen,? Bose audio with available satellite/HD radio and an iPod interface.This Nissan is well-equipped with advanced safety features such as a blind spot warning system,? rear cross-traffic alerts,? and a 360-degree parking camera system to provide you with ultimate peace of mind. This is a 1 owner accident free vehicle with only 55385 miles. For more info on this beautiful Nissan call Dennis 5612713305. Message: Thought you might be interested in this 2014 Nissan Murano.